This statistic shows the number of cars sold by Kia in France between 2009 and 2016. 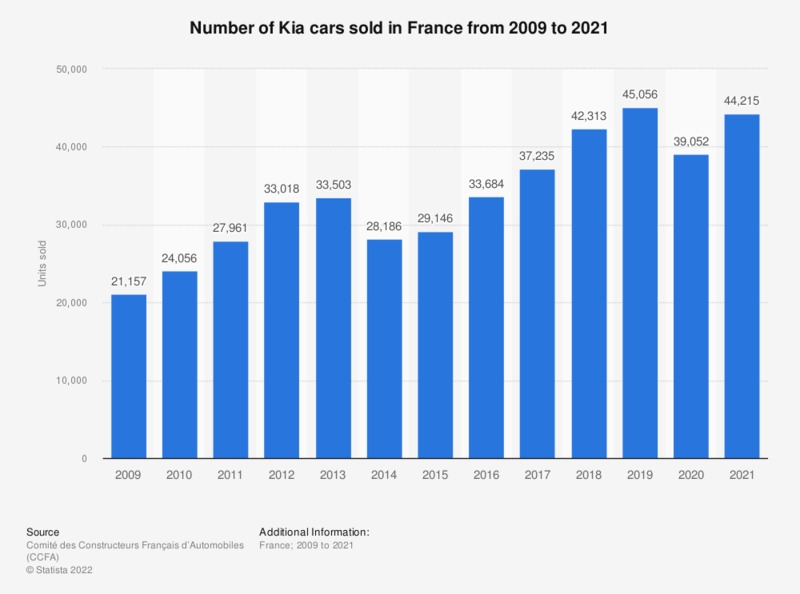 French sales of Kia cars rose from 21.2 thousand units sold in 2009 to a peak of 33.5 thousand units sold in 2013, before subsequently declining in 2014. After an increase in sales, Kia sold 33,684 cars in France in 2016. Denmark: How would you describe the car(s) you own/lease?